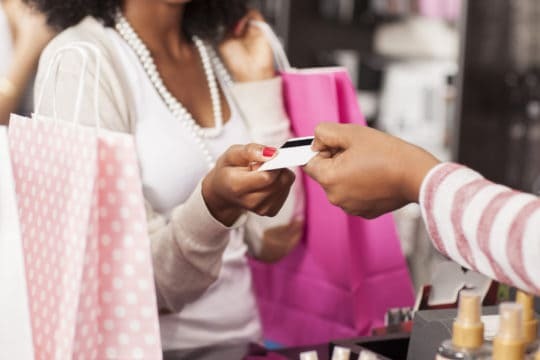 Debt.com » Types of Credit Cards » How Do Credit Cards Work? Learn how credit cards work so you can make smarter choices when you charge. Just swipe and sign, right? Well, there’s a lot more to how credit cards work than that, because with a credit card, you are essentially borrowing money from a bank that you will pay back at the end of the month. If you’ve never had a credit card before, you’ll need to build up your credit. How to establish credit is somewhat of a Catch 22: You need a credit card to build credit, but you can’t get one without good credit. Luckily, you have a few options. It’s important to note that there’s a big difference between an authorized account user and a joint account holder. Joint credit card account holders are like cosigners on loans. Both people can use the account, both are responsible for the debt and repayment affects both people’s credit history. By contrast, an authorized user is allowed to use the account, but they are not responsible for the debt. As a result, payments do not impact an authorized user’s credit history. So, while becoming an authorized user can help you get comfortable using credit cards, it won’t help you build credit. If you ask a friend or family member to add you as an authorized user, keep this in mind. You can get some practice, but it won’t help you build credit. If you’re learning to use credit, it’s best to pair an authorized user account with a secured credit card. This allows you to practice and learn from a seasoned credit user and build your credit. It’s important to think about what kind of card you need before applying for a new credit card. While you shouldn’t carry a balance from month to month, sometimes you can’t help it. If you plan on carrying a balance, make sure it is never above 20 percent of your credit limit. And only carry a balance on a credit card with a low interest rate. Also, make sure you are paying more than the minimum balance each month. 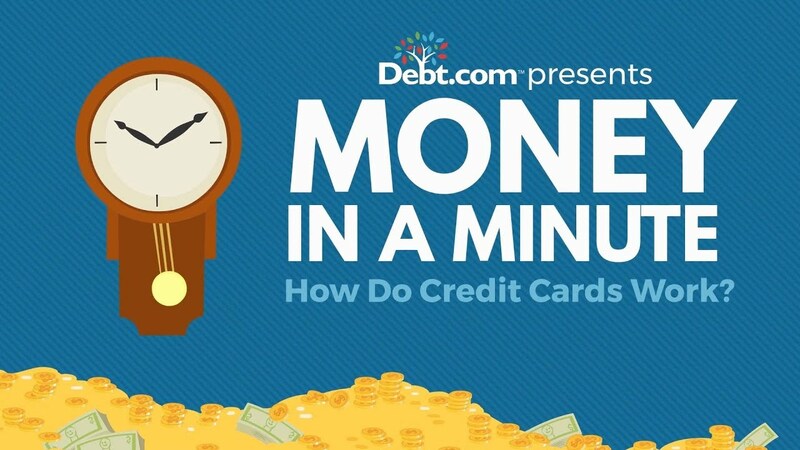 Money in a Minute: How Do Credit Cards Work? Here’s how to make a credit card work for you. A credit card is just a loan. Actually, it’s lots of little loans you can get several times a day. Every time you buy that coffee, lunch or outfit, you’re taking out a loan from the credit card company. In exchange, that company is charging you interest on those loans. Right now, the average interest rate hovers between 14 and 17%, which is a lot compared to other loans, like mortgages and auto loans. But here’s the good part: You have a grace period to pay off your credit cards – that’s at least 21 days. So, if you pay off your balance within that time, you’re not charged any interest at all. It’s like someone handed you free money for a month. Even better, many credit cards offer rewards, whether it’s cash back or points for shopping or airline travel. If you find a good reward card without an annual fee AND you pay off your balances each month, you can actually make money from your credit card. Credit cards come in two main flavors: secured and unsecured. With secured credit cards, you give the creditor a deposit for a specified amount. The creditor gives you a credit limit equal to that amount. Even though you sent them money, this is not a debit card situation. When you use the card, that amount isn’t debited from the money you sent. You have to pay off your purchases each month. A secured card is great practice for someone who is building credit. This includes those new to the credit card game or individuals who have made bad credit decisions in the past. By using the account and paying it off each month on time, the credit reporting agencies will see that you are responsible with your credit account and your credit score will start to build. Once you’ve built up your credit score, you can apply for an unsecured credit card. These cards don’t require a deposit and the credit card company will give you a credit limit based on your income as well as your credit score. Most of the credit cards on the market or that you see ads for are unsecured credit cards. They can offer rewards including travel points or cash back. If you are applying for an unsecured credit card rewards card, it is important to pay off the balance each month, otherwise the interest that you are paying carrying a balance each month will negate all the rewards you are earning. Some rewards cards also have annual fees attached to them, so make sure you are using the card enough so that the fees are worth it. Charge cards are few and far between nowadays. American Express is the only major issuer that distributes charge cards. The only real differences with a charge card and a credit card are the terms. When you sign up for a charge card, the main appeal is an implied lack of a spending limit. While these cards often say no pre-set spending limit, your charges can be limited based on your payment history, income and spending habits. The other main difference in a charge card is that you are supposed to pay it off each month in full. This is actually the advice for credit cards as well, but for charge cards, it’s always been more of a rule. But even charge cards are starting to go the way of credit cards, as American Express offers a “Pay Over Time” option for certain purchases. Most of the offers you will receive or apply for will be for credit cards and not charge cards. If you aren’t sure, make sure to read the fine print. How do I use a credit card? When using a credit card for the first time, make sure to call the number on the sticker on the front of the card and activate it. Also, make sure to set up an online account with your credit card issuer. Even if you prefer to receive paper statements, having an online account will allow you to view updated information about your account instantly and make changes if needed. Decide how you plan on using your card: Are you going to use it for everyday purchases everywhere, at just one place or type of place? Once you decide, it’s time to make a purchase. How do I make a purchase with a credit card? When you get to the checkout, swipe the card or place the chip side into the slot if you have an EMV chip credit card. Follow the prompts on the screen and sign if necessary. Nowadays, most purchases under $25 do not require a signature. Make sure to remove your card when the transaction is completed. You don’t have to make a note of your spending on the card like you would in an old checkbook, it’s important to be mindful of how much you are spending on your card so you can anticipate the bill at the end of your billing cycle. At the end of your billing cycle, you will receive a bill from the credit card company for the amount you put on the card. This is the amount you need to pay back to the bank. By paying off your balance in full, you avoid any interest charges. However, if you spent more than you can afford to pay off this month, you will carry a balance into the following month. It’s important to pay off more than the minimum balance if you can afford it to avoid paying months or even years of interest fees. Thanks to the Consumer Financial Protection Bureau, it passed the Credit CARD Act in 2009 which required issuers to make credit card billing statements easier to read. It also includes a section as to how long it would take you to pay off your debt if you only paid the minimum amount (and didn’t charge any more to the card). If you can’t pay off your balance in one month, it’s important to make a plan to pay it off over a few months’ time and not use the card for much in the interim to avoid hefty fees. When you can’t pay off your credit card bill each month, you are charged interest on the amount you don’t pay off. The interest rate varies depending on your credit score, whether you got a promotional rate and how often they recalculate the rate if it is a variable card tied to an index. This is your annual percentage rate, or APR. How much you pay depends on whether the issuer is calculating a daily rate or a monthly rate. If it calculates monthly, then you would take the APR and divide by 12. To figure out how much you will be paying in interest, take the balance that you have leftover, and multiply it by that number. If it is calculating daily, then you will need to instead divide the APR by 365 and then multiply by the number of days in your billing cycle (usually 30 days). The interest will accrue as long as you carry a balance. Making minimum payments only increases the amount you pay on the money you originally borrowed. It’s important to pay off as much as you can each month. And remember, if you run into trouble with credit card debt and need help paying off high balances, Debt.com is here to help! When you use your credit card, it’s important to keep your credit card information safe. Many people wonder about the security of their credit card information this day and age. Hacking credit cards is rampant, especially online. So how do you keep your information secure? One way that major credit card issuers helped to make your credit cards safer was by implementing EMV technology in credit cards, which stands for Europay, Mastercard and Visa. Also known as chip-and-pin or chip-and-sign technology, the computerized chip embedded in each card is much more difficult to gather information from when skimming a credit card. Another way to keep your credit card information safe is to avoid saving your credit card information with too many websites. The more sites that have your information, the more vulnerable you are. Thankfully if your card is compromised, you are only liable at most for $50. New technology has also enabled credit card companies to freeze or even deny payments if they suspect suspicious activity on the card outside of your normal spending habits. It’s important to keep track of your spending not just for budgeting, but also to avoid fraudulent attacks. Protect yourself against identity theft and fraud with Debt.com’s ID Theft Protection Tool. Try it free for 30 days. Article last modified on March 5, 2019. Published by Debt.com, LLC . Mobile users may also access the AMP Version: How Do Credit Cards Work? - AMP.